Senior Care takes many forms. It could be you checking on your mom each day to be sure she is taking her medications. It could be one of your children visiting their grandad to cheer him up. Or it could be a professionally trained and skilled nurse caregiver. All are essential for the well being of our seniors. Caregivers perform a range of services, from a simple visit to caring for all physical, mental and emotional needs. What family members need to determine is the what, when and how of care. When a cherished loved one ages and begins to lose the ability to care for themselves, determining what they need comes first. Family members usually are the first to intervene and offer assistance. If mom or dad needs help with bathing, taking medications, buying groceries, or just needs to be checked in on each day, there is usually one caregiver in the family who takes the lead. At some point senior care may become too much for a family caregiver. Perhaps they don’t have enough time to spend with their loved one due to employment and family responsibilities. In many cases the specific needs of the senior have become more than they can adequately handle themselves. Whether a senior still lives alone or has moved in with family members, there may come a point when the care they require is more than family can handle alone. Seniors who have suffered a stroke have special rehabilitation needs, including help with regaining speech, mobility and mental alertness, to achieve recovery. C-Care Health Services can assist with senior care in the home or in a facility. Debilitating diseases like Parkinson’s, ALS, and Muscular Dystrophy have specific protocols and require long term attention. Alzheimer’s Disease and Dementia are frightening and frustrating for both the senior and the whole family. These are progressive diseases and result in cognitive impairment. Constant supervision usually becomes necessary with time. Disruptions can occur at night, patients can become aggressive, and behaviour changes. No matter what a senior caregiver does, they should be compassionate, patient, respectful, supportive and provide physical and emotional support to seniors. 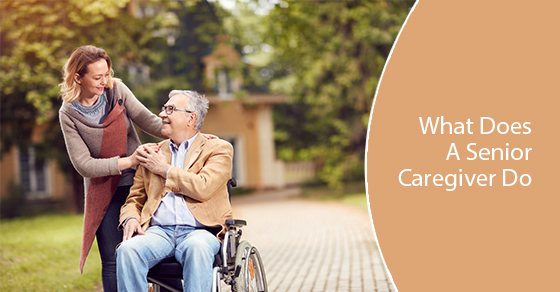 If you need senior care assistance for your loved one, contact C-Care Health Services for affordable, quality care.